A guide to the different types of weapons and weapon mod in The Division. 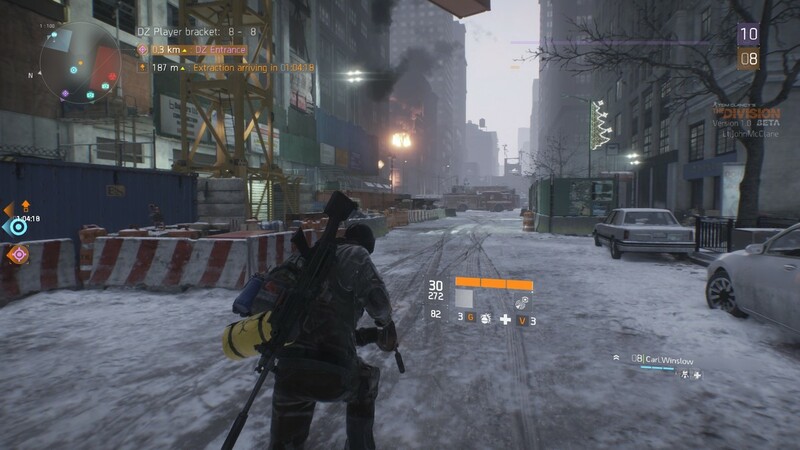 Knowing your weapons in the Division is the first step in becoming an effective agent. There are six different types of weapons in the game, each of which can come in a variety of rarities and levels. The higher the rarity and level of a weapon, the better the stats and the more damage it will do. You can have three weapons equipped at any time, one of which has to be a pistol. The other two choices can be from any of the other 5 remaining weapon types. Pistol – Your standard sidearm that is decent at medium to close range, but lacks the stopping power of the rifles and shotgun. Whichever pistol you have equipped; it will have unlimited ammo so choose wisely. Assault Rifle – An automatic rifle capable of good accuracy and damage, and it can put a lot of rounds down range in a relatively short period of time. You’ll be using a lot of assault rifles. Marksman Rifles – High powered rifles that having extremely high stopping power, but fire very slowly when compared with the assault rifle or submachine gun. Great for picking off targets at a distance. Submachine Gun – Capable of an extremely high rate of fire, the submachine gun is good for close encounters, but suffers from accuracy and damage output issues at longer ranges. Makes a great secondary weapon that you can switch to when you get into close quarters situations. Shotgun – The most effective weapon at short range, it’s perfect for clearing out closed in areas like subway stations and the interiors of structures. Extremely inaccurate at range and somewhat slow to fire depending on the model you have. Light Machine Guns – High calibre machine guns with low accuracy, but they make up for it with their ability to put lots of rounds on target for extended periods of time. The ultimate weapon for supressing enemies while your quad moves in for the flank. Each weapon comes with a set of attributes that define the damage it does and other things like reload speed and accuracy. You can boost these stats by applying modifiers to the weapon. DMG – How much damage each bullet of the gun does. RPM – Rounds per minute. How fast the weapon fires. MAG – The size of the weapon’s magazine (how many bullets it can hold). Accuracy – How quickly your reticule recovers when the weapon is fired. A low accuracy will have a wildly enlarged and moving reticule. More accuracy will make the reticule smaller and more stable. Reload Speed – How long it takes to reload the weapon. Range – Defines the maximum optimal range for this weapon. Firing at a target beyond this range will greatly reduce the amount of damage each bullet does to the target. Stability – Determines the amount of recoil a weapon has when firing. Higher stability = less recoil. Some weapons in The Division come with weapon talents. These are passive abilities that the weapon has that only become activated when you have a high enough value in a certain attribute (electronics, firearms, stamina). The required attribute will change depending on the weapon and the talent. These talents can provide many bonuses such as: regenerate your health after killing a certain amount of enemies, increase your accuracy, giving you bonus damage against a certain type of enemy, a boost to reloading, and many more unique bonuses. Weapon mods are attachments that you can mod onto your weapon to increase its stats with a percent bonus. Like other forms of gear, they come in different rarities. The rarer a weapon mod, the larger the bonus it will give to your weapon stats. Optics – Can provide increases to your weapon’s accuracy, headshot bonus and optimal range. Magazines – Increase the amount of ammunition a weapon hold, rate of fire, or reload speed. Underbarrels – Provides a bonus to hip-fire accuracy, weapon stability, overall accuracy, or initial bullet stability. Muzzles – reduces the amount of threat your agent generates from NPCs, or can provide an increase to horizontal stability. Skins – Changes the appearance of the weapon.